The Seniors’ Agenda of the Santa Clara County Department of Aging and Adult Services is the lead of the Age-friendly Initiative for all 15 cities and the county. The Seniors’ Agenda is the backbone organization for a collective impact model of collaboration and change. Since 2011, the Seniors’ Agenda has collaborated with over 100 community based organizations and government agencies to improve the lives of older adults through policies, filling the gaps in services and public awareness, and education. Because of our 2010 assessment and 3 year plan of action (2012-2015), over $4.5 million dollars of new funding was designated by the Board of Supervisors to fill the community’s top priorities of unmet needs: transportation to senior nutrition sites and intensive case management of older adults who were at risk of being institutionalized. Twice a year, over 200 professionals in aging and related fields attend our Seniors’ Agenda Network Summit. In addition to being a great networking opportunity, this free event includes a keynote speaker (many on Age-friendly), a celebration of successes and is an opportunity for attendees to learn of new projects being launched. The County is responsible for many safety net services: senior nutrition program, adult protective services for elder abuse, public guardian, public health, medical clinics, behavioral health, and welfare benefits. 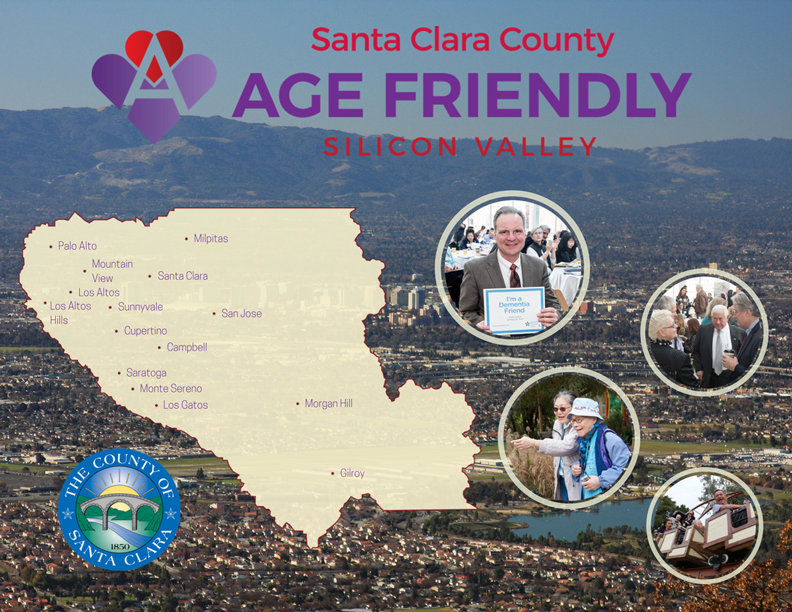 The Seniors’ Agenda has brought together many of these departments to promote older adult programs and services and urge them to plan through the lens of the growing demographic.